Our bulk burlap is available both treated and untreated. Our burlap is treated with the only EPA approved copper formula, which is monitored on a daily basis to ensure the correct percentages. - Treated burlap is sold in 500 yard rolls. 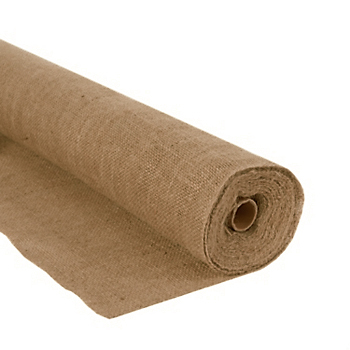 - Untreated burlap is sold in bolts of approximately 100 yards (sizes may vary from 60 to 130 yards). Plain burlap can also be put up in 500 yard rolls. Bulk Burlap is available in the following widths: 30", 32", 36", 40", 45", 48", 54", 60" and 72" Available in 7 oz. or heavy weight.